Free classes proven to help older people stay active, reduce their chances of falls and feel less socially isolated are available in North West Leicestershire. Organised by North West Leicestershire District Council (NWLDC), the classes are tailored to each participant’s needs and involve a mixture of seated and standing exercises, as well as Tai Chi. 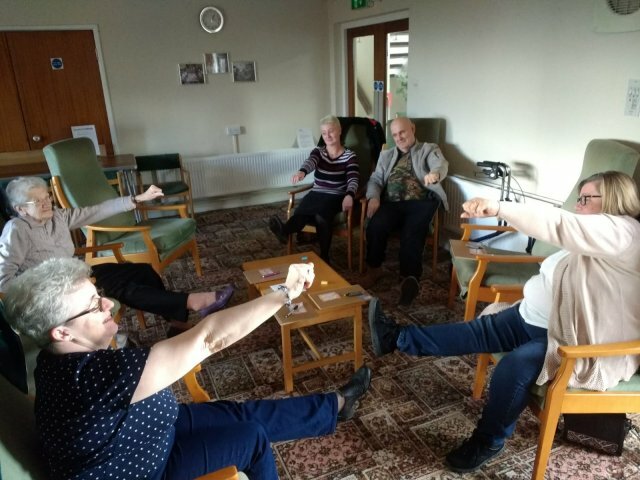 They offer older people, especially those at risk of trips of falls, a great chance to mobilise their joints and increase strength in key areas of the body. The classes also serve as a great way of tackling social isolation, bringing like-minded people together in a relaxed environment. Hood Court, Ashby de la Zouch (LE65 1HY) - Fridays 1.30pm-2.30pm. Anybody from the district can attend, they don’t have to be a resident of a sheltered accommodation. Councillor Alison Smith MBE, Deputy Leader and Portfolio Holder for Community Services at NWLDC, said: “This is a fantastic scheme that sees elderly people make new friends, socialise, have fun and exercise as part of a group. “We have an aging population in the UK and in North West Leicestershire we are determined to support the elderly to be as healthy and fit as possible. Not only is it a great boost to the individual and their families, but also to our NHS as these kinds of mobility schemes can significantly reduce the chances of falls. People are asked to book onto the classes by emailing emily.rodbourne@nwleicestershire.gov.uk or calling 01530 454839.